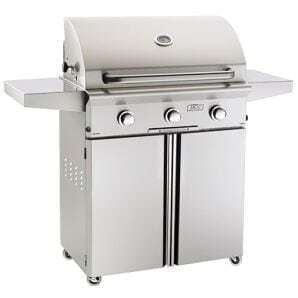 American Outdoor Grills are designed and manufactured in the USA by RH Peterson, the same company that brought you Fire Magic Grills. 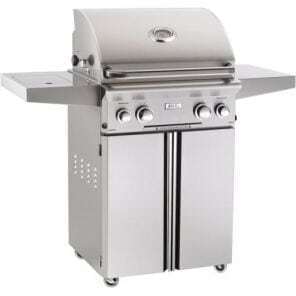 AOG Portable grills are budget friendly and perfect for your back yard, deck, patio or by the pool. These Portable BBQ grills (AKA: Standalone grills, Free Standing grills and Cart grills) are made to last, using 304 stainless steel. 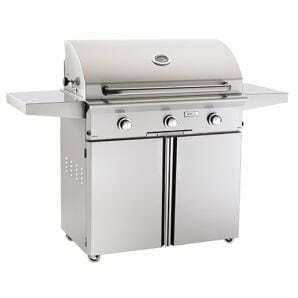 AOG BBQ’s offer flush mounted options like a 12,000 BTU side burner, rotisserie back-burner and warming rack.